That's not to say that tweets with any one of those hashtags should be dismissed, or that the person who is putting them out doesn't believe in their content, or that the content isn't 100% true, but please take them for what they are - advertising - as those hashtags are there to make you aware that the tweeter involved is getting paid by the industry/corporation/product referenced in the tweet. And while I think those folks using those hashtags are doing the right things with their disclosures (and sort of obeying the law as the FTC has ruled that RDs who receive compensation by companies must disclose - but the FTC feels only #Ad right up front does the job), and by no means should someone reading this post think I've got it out for folks getting paid to tweet, I do wonder how many regular folks reading those tweets would recognize those hashtags' significance (especially #Sp, #Cl, #Cli, #Spon, and #Spons)? 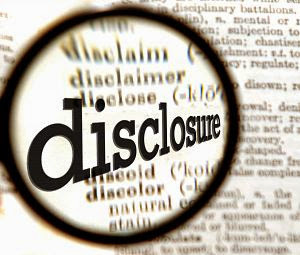 I also have to wonder what percentage of directly or indirectly compensated RD tweets actually include disclosures as from my tweet stream at least, it would seem that percentage is very small, and the percentage of those that disclose with #Ad up front is even smaller still.